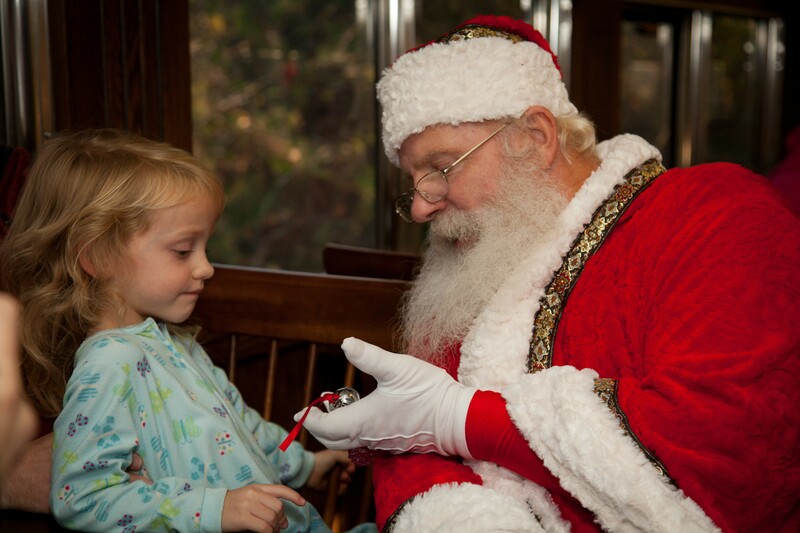 The Saratoga & North Creek Railway has begun service to the North Pole onboard THE POLAR EXPRESS™ Train Ride. The magical story comes to life for a one-hour round-trip journey to the North Pole on select dates through Dec. 28 (photo courtesy of Premier Rail Collection). Saratoga Springs, NY – The Saratoga & North Creek Railway has begun service to the North Pole onboard THE POLAR EXPRESS™ Train Ride. 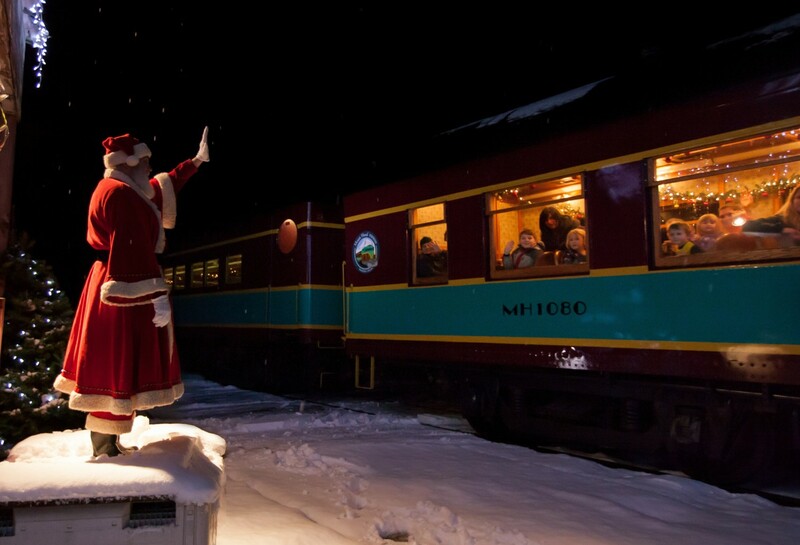 The magical story comes to life when the train departs the Saratoga Springs Depot for a one-hour round-trip journey to the North Pole. The Saratoga & North Creek Railway is currently entering its 4th season operating THE POLAR EXPRESS™ Train Ride and was thrilled to welcome Saratoga Springs Mayor, Joanne Yepsen as its first special guest conductor of the season. To date, the Saratoga & North Creek Railway has sold nearly 17,000 tickets for the 2014 holiday ride and has added a new economical class of service to its existing three classes to accommodate increasing demands for affordable family options. Set to the sounds of the motion picture soundtrack, passengers will relive the magic of the story as they are whisked away on THE POLAR EXPRESS™. Once onboard, hot chocolate and treats are served as passengers read along with the classic children’s book, The Polar Express, by Chris Van Allsburg. Santa and his helpers greet passengers at the North Pole and then board the train, where each child is given the first gift of Christmas – a silver sleigh bell. Chefs aboard each car lead passengers in singing Christmas carols on the ride back to Saratoga Springs Depot. Families are encouraged to wear their pajamas for the ride! 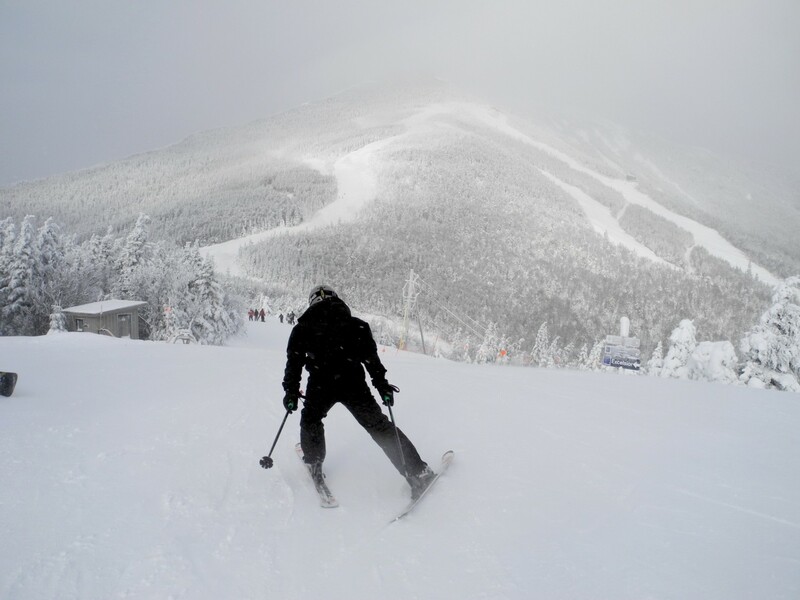 Ticket prices begin at $70 for adults and $25 for children (ages 2-11), depending on date and class of service. The journey begins Nov. 14 and runs through Dec. 28 on select dates. 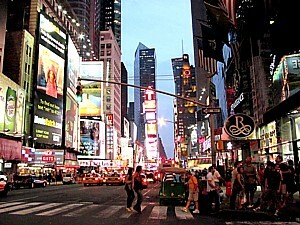 Exact dates, fares and excursion times are available by calling 877-726-7245 or by visiting www.sncrr.com. The Saratoga & North Creek Railway is a part of Premier Rail Collection, which also owns and operates a number of Polar Express Train Rides throughout the United States including: Wisconsin & Southern Railroad’s Polar Express, The Eastern Flyer’s Polar Express, and Texas State Railroad. 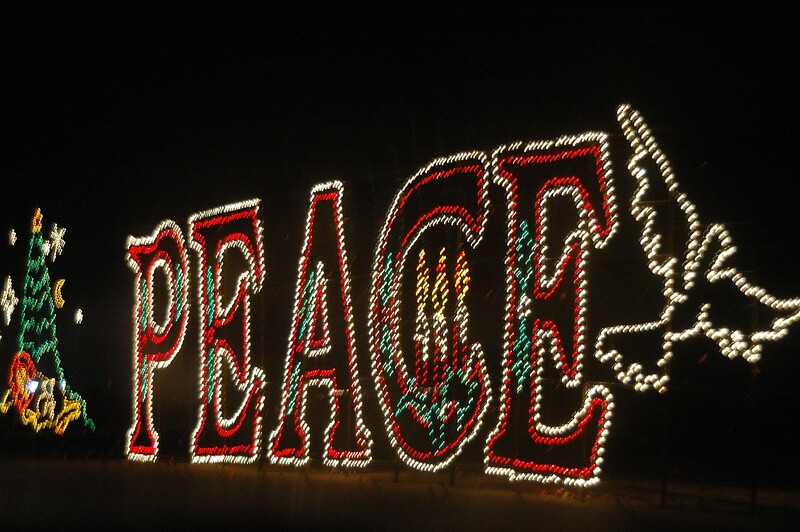 The Holiday Lights Spectacular returns to Jones Beach, Long Island, Nov. 20 through Jan. 4. The drive-through Holiday Lights Spectacular presented by the NYCB Family of Banks will return to the West End of Jones Beach in November, bringing back a Long Island holiday tradition last held in the park in 2007. Partnering with entertainment giant Live Nation, the Holiday Lights Spectacular is a 2.5-mile drive offering visitors the opportunity to view more than 150 animated and synchronized light displays that will create a colorful and marvelous holiday experience. The Holiday Lights Spectacular will begin on Thursday, November 20 and run through Sunday, January 4. 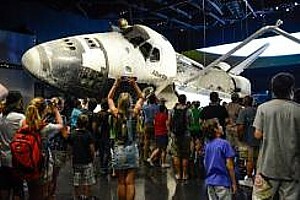 Visitors can enjoy the display each day from dusk until 10:00 p.m. Monday through Thursday and until 11:00 p.m. Friday through Sunday. 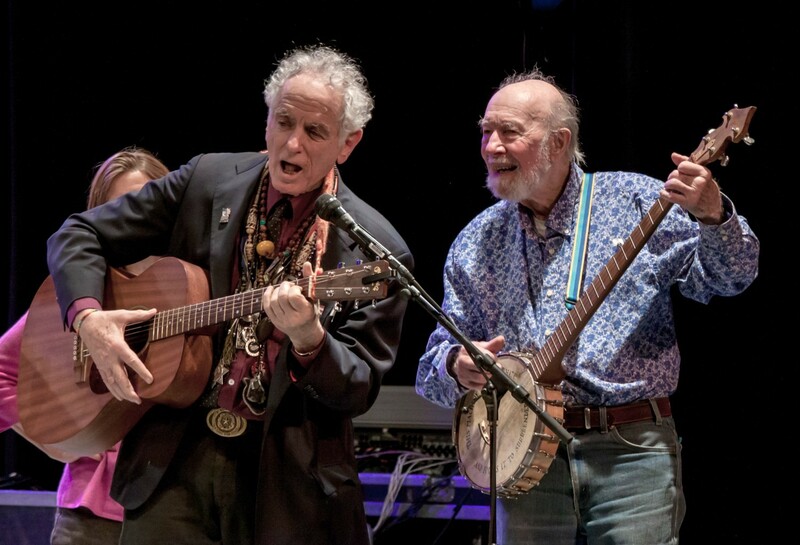 David Amram and Pete Seeger performing (courtesy of http://www.econosmith.com). The greats of folk music including Peter Yarrow and Tom Chapin are gathering together on Nov. 20 at Tilles Center for a concert that both celebrates the eclectic American composer and performer David Amram on his 84th birthday, and pays tribute to the iconic Pete Seeger. The concert, which is being billed as “the greatest folk concert Long Island has seen in decades,” is being organized by Great Neck resident Jason Samel of Movement Music Records in association with Love Revolution and the Gold Coast Arts Center to benefit the arts center, a not-for-profit organization dedicated to supporting and promoting the arts through education, exhibition, performance and outreach. The performers include Amram – an American composer, conductor, multi-instrumentalist, and author a musician best known for classical and jazz music – as well as friends he shared with the late Pete Seeger including Peter Yarrow (of Peter, Paul, and Mary), Tom Chapin, Holly Near, Guy Davis, Garland Jeffreys, Kim and Reggie Harris, Joel Rafael, The Amigos, The Chapin Sisters, Bethany & Rufus and the Connecticut State Troubadour Kristen Graves. As a classical composer and performer, Amam’s integration of jazz (including being one of the first to improvise jazz on the French horn), folkloric and world music has led him to work with the a virtual who’s who of music, film and literature. Samel said he was decided to combined Amram’s 84th birthday celebration with a tribute for Pete Seeger because of the close relationship of the two men. Samel said the concert is also intended to recognize Seeger’s political activism. 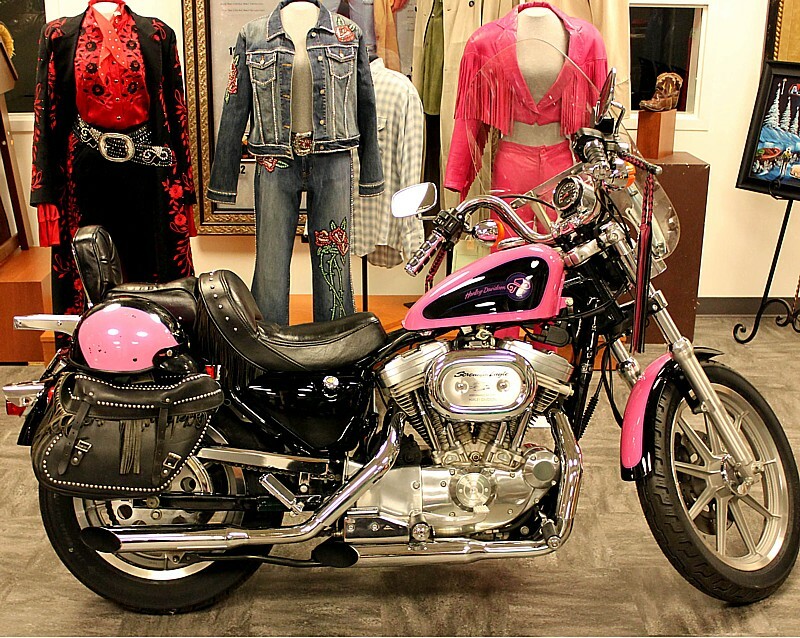 For more information about the Gold Coast Arts Center, visit www.goldcoastarts.org or call (516) 829-2570.